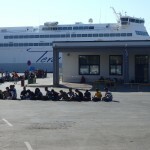 The new Minister for Immigration G.Mouzalas visited yesterday the Island of Lesvos. inspecting the camps with thousands of people that are not yet registered. After 2 weeks there will be 60 new people andnew computers working for the registration procedure. be leaving as soon as all tickets are sold. more MAT special police forces for Lesvos. new registration place in another military space KOURTZI in the north of Mitilini. 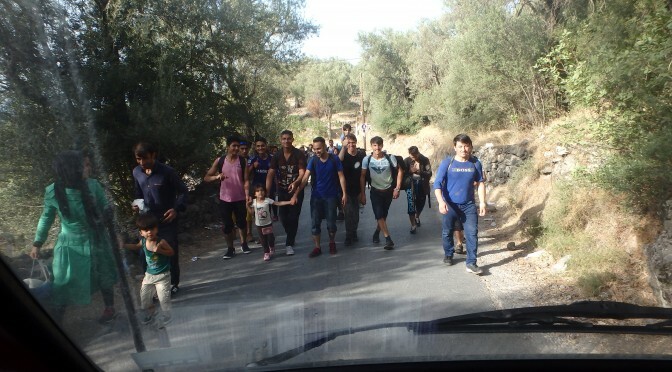 in the meantime the streets are again full of newly arrived refugees, walking from the north of the island 70 km since the authorities have blocked the bus transports due to too many people concentrated inMitilini/Kara Tepe/Moria. NO REGISTRATION at the moment at the PORT! 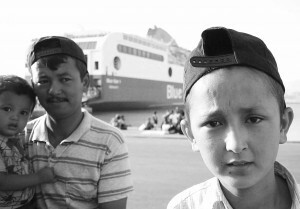 Police Violence in the Port of Mytilini from w2eu Lesvos on Vimeo. Around 20 000 Refugees are currently stuck on the Island of Lesvos. Since one week, registration for new arriving refugees in Lesvos has become an obstacle to continue the procedures and leave the Island. 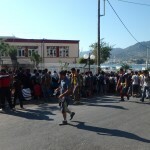 Since Friday the situation in the Port of Mytilini has escalated. Hundreds if not thousands of refugees from Syria, Iraq and Afghanistan are caught in limbo. 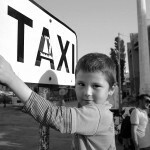 Every day they try to fight for a registration number in the port. 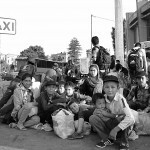 Most of them try up to 10 days to get a registration number with no success, they are forced to camp around the port, the city or sleep rough. Their money has finished and they suffer from hunger and thirst. Desperate, if not in rage due to lacking infrastructures and the absence of any system, they break out in daily protest and not seldom fights. The state shows its presence in form of riot police, beating down men, women and children alike. 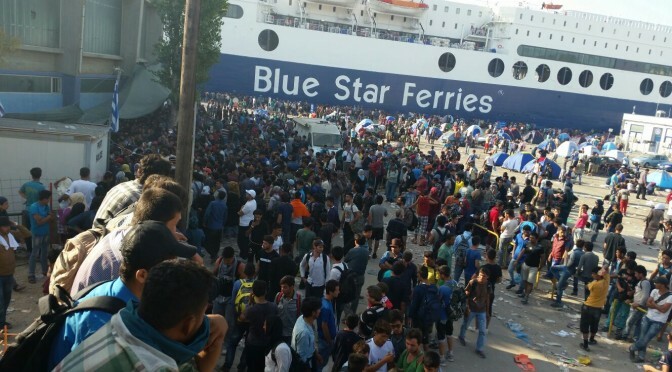 On Friday 4th of September hundreds of refugees tried to storm a ferry. The police threw tear gas. In the following they banished all refugees from the port. Newspaper Article about police violence in the port. 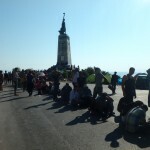 On Saturday 5th of September the refugees self-organized a queue for the Registration – Numbers. While th refugees where peacefully waiting in their queue, the police beat them with batons. It is Sunday. 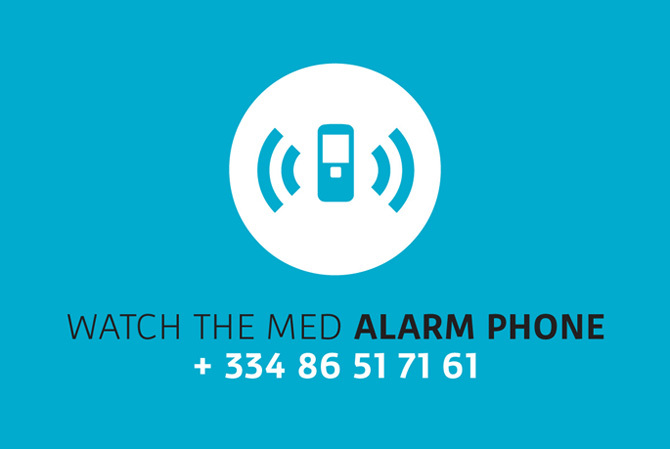 For at least two nights no refugee was seen during night sleeping in the port of Mytilene. Today there are again about 100 persons from Afghanistan and Syria mainly but also from Somalia, Ethiopia, Sudan and other countries. Everybody is stressed to leave. A handful of families didn’t know they had to get tickets for their babies too even if they were for free. 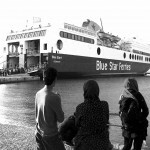 While trying to enter the ferry they were send back to the ticket office. The mothers had already entered with the other children and were not reachable. Two Syrian dads and one Afghan holding all small babies stand beside the ticket shop not knowing what to do. 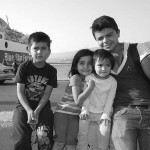 Their women have the documents of the children inside the boat. Only in the last minutes and after discussions with the ticket office they manage to solve the problem and run in the ferry. A group of kurdish Syrian men is standing aside. They are angry.